, is located in the northwestern part of Umbria, and is a small center of Etruscan origin. The location on a hilly promontory on the western shore of The Lake Trasimeno makes Castiglione del Lago an attractive hamlet and destination for many tourists. Conquered by the Etruscans, it was subject to the jurisdiction of Chiusi, preserving for many centuries the name of The Castle of Chiusi. 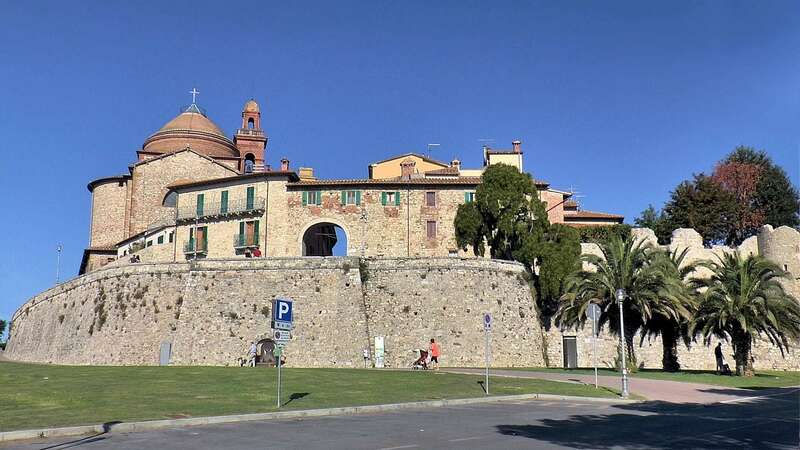 The territory was reclaimed and connected to the Valdichiana after the Roman era, but it is in the Middle Ages that it became a fortified village, with the construction of the Castle. From the 16th century it was marched and then ducato of Della Corgna, until the seventeenth century, when the family disappeared. Castiglione del Lago passed into the possession of Church until The Unification of Italy in 1860. The old town is surrounded by the medieval walls with the three gates: Perugina, Senese and Fiorentina. Built in 1247 on a project by Fr. Elia Coppi da Cortona, the medieval fortress, also called Rocca del Leone, is one of the most interesting examples of Umbrian architecture of the Middle Ages. The Rocca, shaped like an irregular pentagram, is made up of five towers and three doors and is dominated by the characteristic triangular tower about 30 meters high. 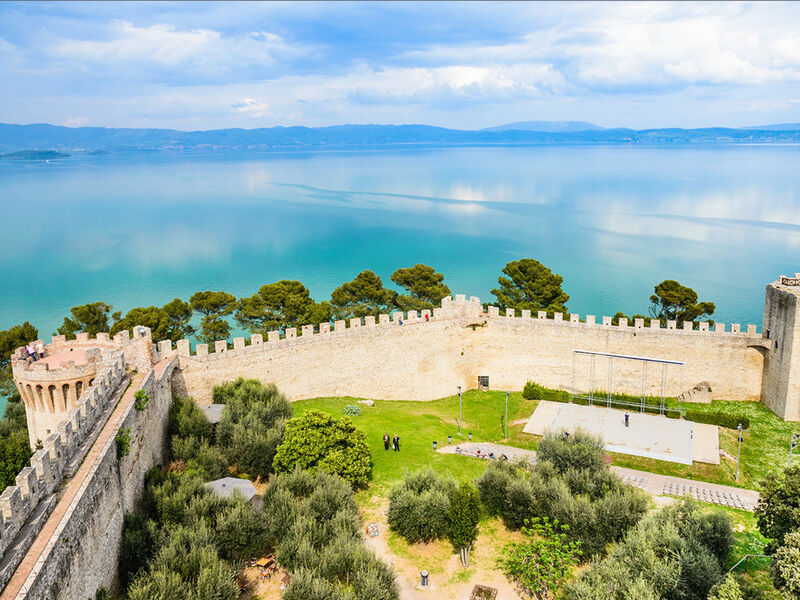 The vast interior space of the Rocca is nowadays used as an amphitheater for shows, while the round path offers to visitors a beautiful view of the lake. Built by the will of Ascanio della Corgna in 1560, the Ducal Palace or Palazzo della Corgna, is the only small “palace” existing in Umbria, of great artistic value. The beautiful rooms, frescoed by Nicolò Circignani called “The Pomarancio” and Salvio Savini, with mythological scenes and Captain Ascanio of Corgna’s conquests, represent one of the best examples of the Mannerist painting of the region. To see also the church of San Domenico, baroque period and erected in 1638, offers to the visitor a splendid wooden ceiling with drawers, numerous paintings of the seventeenth century, and a ambulacrum destined to the tomb of Della Corgna. A complete list of events in our territory with a list of all major events divided by month.